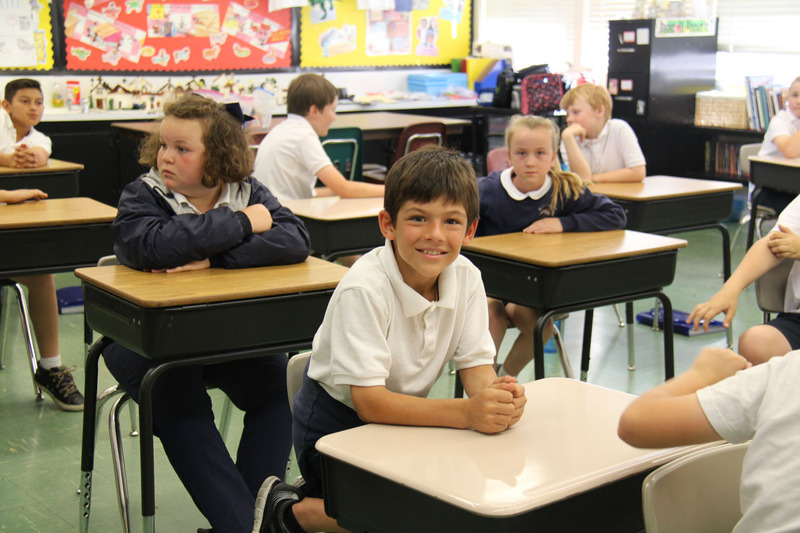 Seventh Grade Language Arts consists of four components: literature, writing, grammar and spelling. Seventh graders read, discuss and write about the following books: Where the Red Fern Grows, The Midwife’s Apprentice, A Wrinkle in Time, Farewell to Manzanar, The Outsiders and others if time allows. Life Science is the focus of 7th grade study which includes the structure of organisms, cellular structure, processes and reproduction to genetics, evolution, and the human body systems. We study the social, cultural, and technological changes that occurred in Europe, Africa, Asia and South America in the years 400 B.C. to A.D. 1789. The focus this year is ministry to others. We will be discussing the topic of morality and how to live the Gospel values in our lives. 7th graders may prepare for the Sacrament of Confirmation. Students continue to learn Spanish with focus on basic conversation, hobbies, school schedules, time, invitations, and food.